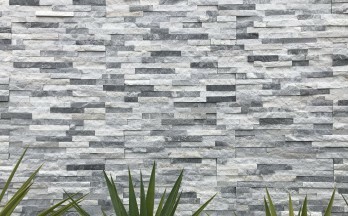 For a delightful cladding range that brags an unmistakable and present day look, BuildMart’s deluxe Stackstone is the solution to your necessities. Both commercial and private buildings need something different to help them keep attractive. Stackstone is perfect for adding a sleek completing touch to open air or indoor regions because of its sturdiness and common completion. BuildMart’s deluxe Stackstone has been expertly made from the absolute best materials. And we have a wide range of style for you. Hence, you’ll get an unexpected outcome in view of Stack stones incredibly shifted surfaces. BuildMart is your best choice of home interior and exterior. All of the materials are up to date. Get a free quote now or come and visit our showroom in Glen Waverley. Here is some stacked stone you could find in here. Like the name, it is peaceful stack stone. You will love it for the flat wall. Even for the corner, it is available to you. Make sure you get the right size because it is only $89 per m2. Blu Angel size is 600x150x15-20 mm. The corner pieces have a different size from flat. Are you looking for light stack stone? This is the answer. It is light and looks sparkling. You will love to have it in your house to limit the fish pool with the rainfall. Same as Blue Angel, the price of starts from $89 per m2. Like on and off button, opal quartz makes your wall looks hidden and show at the same time. Opal color looks great indoors. Get the price as two previous stack stone. The perfect appearance begins here. This is one of deluxe stack stone. It is good to be seen in any season. Make sure you know how to install it. Whether indoor or outdoor, it keeps beautiful under the dark. Do not worry about strength. The good point is it will not easy for the moss to stay there. It is durable and up to date. Talk to BuildMart team about more reasons you have to buy the stacked stone. It is like how you stick the maze. For the most inspiring artistic stack stone, the blue lake comes to give you the feeling of the lake. Its design is simple, but it helps you to get a better feeling. It is light, so it is suitable to install near the garden.